Great articulation ease. Offers musicians a colorful spectrum of sound. The difference between “Profile 88” and Traditional mouthpieces is in the exterior angle of the beak. Therefore, the musician is free to choose the model which suits his purpose in terms of best playing position, easiest sound projection, greatest playing comfort, and the most controllable and precise articulation. 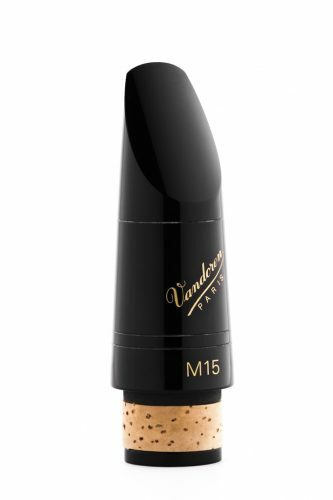 Vandoren has developed the “13 series” mouthpiece specifically for American clarinetists using A440 pitch. the M13, M13 Lyre, M15 and M30 mouthpieces. The “13 series” range also encompasses other models (traditional facings): 5RV, 5RV Lyre, B45, B40, B40 Lyre and M30 Lyre.